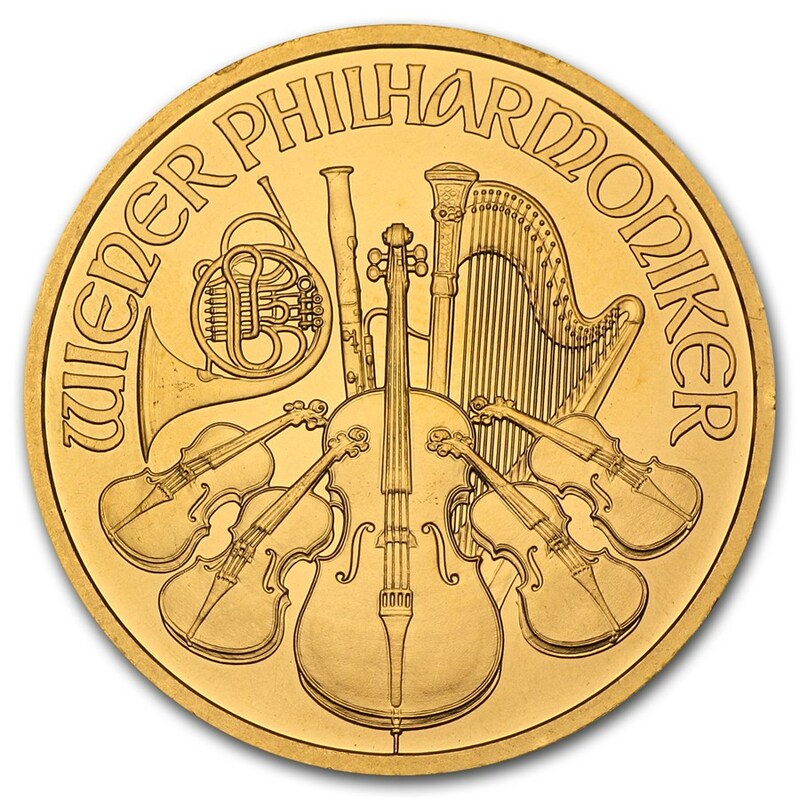 These 1 oz Gold Austrian Philharmonics feature worldwide popularity with their .9999 fine Gold content and classic design of the Musikverein with its array of instruments, including the cello, violin, harp, french horn and bassoon. Protect and display your Gold Philharmonic in style by adding an attractive display or gift box to your order. This stunning Gold bullion coin is loved around the world for its 1 oz Gold content and classic, recognizable design. 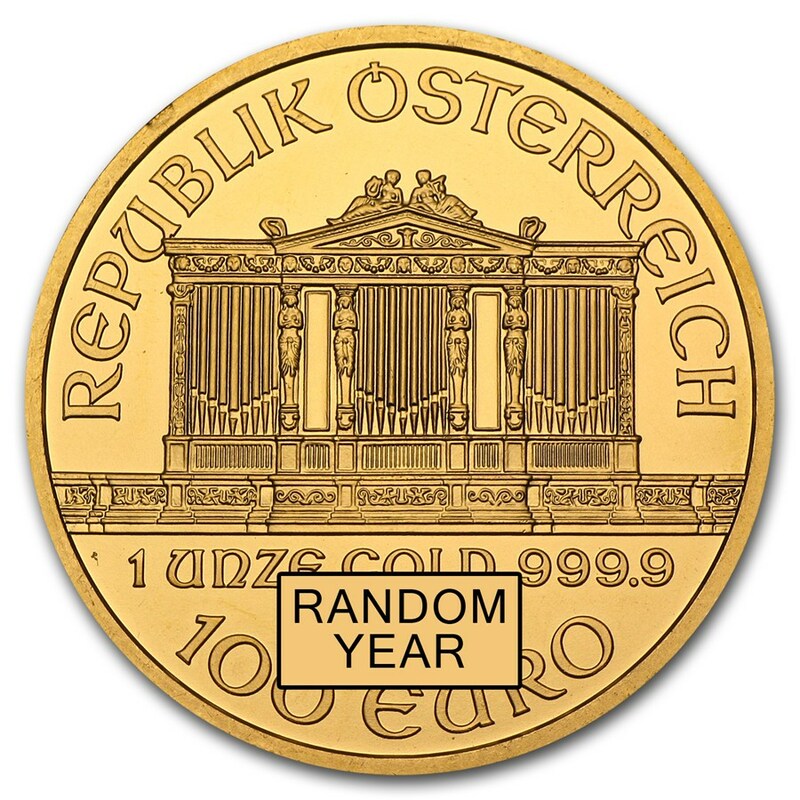 Add a 1 oz Gold Austrian Philharmonic to your cart today.